AWICS is assisting the Local Government Association with peer reviews by providing expert advice on financial diagnostic reports. Adrian Waite has also assisted as lead associate consultant on a financial peer review. The role of the Local Government Association is to help councils by providing the necessary support. The offer of support set out in ‘Sector-led improvement in local government’ is a core part of the Local Government Association’s offer to councils and includes a range of free of charge / subsidised tools and support for councils. A major part of the support is the offer to each council and fire and rescue service to have a corporate peer challenge (at no charge) at a time of its choosing. Peer challenges are managed and delivered by the sector for the sector. They are improvement focused; the scope is agreed with the council and tailored to reflect their local needs and specific requirements. The peer teams involve peers from across the sector and beyond. Their ambition is to help the council to respond to its local priorities and issues in its own way to greatest effect. Peer challenge is not an inspection, it is a tool for improvement. Peer challenge is carried out to the Council’s specification aimed at improving, not judging, the council. Peer challenge should be undertaken at a time that most suits a council and focus on what is of most importance to a council. A scoping meeting at the outset involving a visit by Local Government Association representatives is an essential feature. The council’s specific needs, the areas it wants to focus on, the make-up of the team and the results it wants to achieve will be discussed and agreed. Peer Challenge should include some focus on leadership, governance, corporate capacity and financial resilience. These form a core component of all corporate peer challenges. The process should be proportionate – minimising the burden (rather than making unnecessary demands that absorb capacity and divert attention) focusing on making appropriate preparation and maximising the benefits. 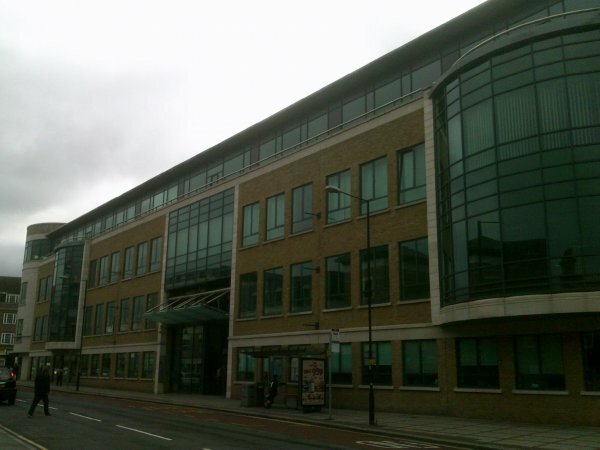 One of Slough Borough Council's offices. Adrian Waite was lead associate in a Local Government Association financial peer review for the Council.